Alternative Names: Fevertea, Lemonbush, Koorsbossie (Afr), Musukudu (Tsw), Inzinziniba (Xho), Umsuzwane (Zu), Mumara (Sho). 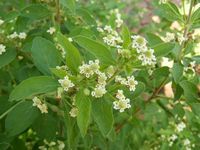 Indigenous - erect, much-branched woody shrub that can grow up to 1-2m. The stems are square in cross-section and have rough textured leaves with lightly toothed margins that are arranged opposite each other in whorls of three or four. 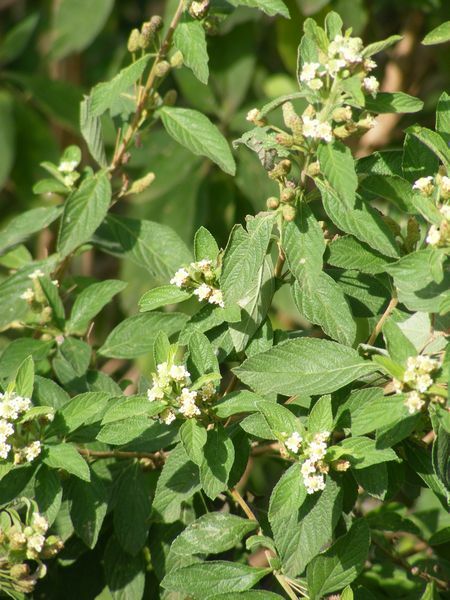 The leaves contain essential oils and have a characteristic lemon-verbena scent when crushed. It bears small creamy-white flowers that are clustered together in dense, round spikes about 1cm in diameter. 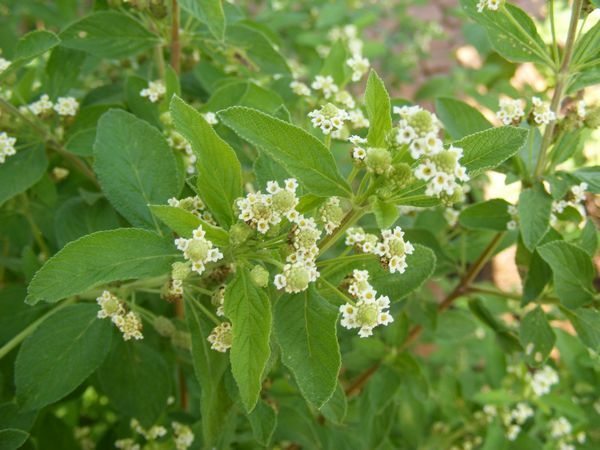 Draught-hardy plant that will tolerate a wide variety of soil types - requires full sun. The leaves are traditionally made into infusions to treat coughs, colds, fever, asthma, bronchitis, pneumonia, influenza, measles, rashes, malaria and headaches. Stomach disorders, intestinal worms (tapeworms), back pain, eye ailments, nosebleeds, stuffy noses and convulsions. Weak infusions are taken as a general health tonic and strong infusions are used topically for scabies and lice. The oil can be use as a repellent to control bark beetles.